and a high quality product. 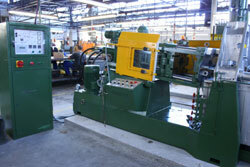 Procast Manufacturing (Pty) Ltd has been in operation for over sixty years. The company was founded by the late Mr M.S. Hard and continues to be run as a family business by his daughter, Mrs Sally Henstock. The company is a manufacturer specialising in high pressure zinc and aluminium die-casting. Procast also manufactures a wide range of plastic injection moulded, steel pressed and brass manufactured components. The company produces a diverse range of products catering for the building, electrical, motor vehicle, irrigation, hardware and domestic markets. 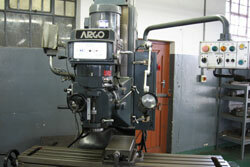 The company also produces specialised components for individual clients. Our Foundry has a wide ranging capacity to produce quality zinc and aluminium high-pressure die-cast components. Our Machines range in capacity from 25 tons to 65 tons as well as Idra cold chamber die-casting machinery with a capacity range of 5 tons to 100 tons. Our toolroom, well equiped and with CNC facilities, has the capability to manufacture high-pressure die-cast dies for use in the foundry. With over fifty years of invaluable and specialist knowledge in die manufacturing, Procast Manufacturing is able to provide clients with a comprehensive service in die design, manufacture and testing.